Note: This is an updated version of an article that originally appeared in 2009. Children with a variety of medical conditions and disabilities need medical beds, both to keep them safe and to help their caregivers provide appropriate care. Some children may require a raised head of the bed for respiratory or gastrointestinal conditions, while others need padded sides to prevent injury during a seizure. Children who require frequent medical procedures often need high-low style beds to facilitate medical procedures and transfers. Unfortunately, it can be difficult to convince Medicaid or your insurance company that a medical bed is more than just an “item of convenience.” We struggled with our insurer for almost a year before we were able to convince them that a bed was a necessary item. Medicaid in particular has become even stingier in paying for beds over the past few years, as budget problems have made states less likely to cover expensive items. Nevertheless, it is possible to get insurance or Medicaid to cover the cost of a specialty medical bed for most children with complex medical conditions and disabilities. Before even looking at beds, it is best to think about what your child needs in a bed. There are many different models on the market, and you ultimately need to choose the bed that is most suitable for your child. Insurance or Medicaid is unlikely to pay for a bed with all the bells and whistles if all your child needs is an enclosed space. Children with respiratory or gastrointestinal problems, as well as those with muscle problems preventing them from sitting up without support, may need a bed that is partially or fully articulated, meaning the head of the bed can be raised. Children with muscle problems, contractures, or circulation problems may need a fully articulated bed that allows the foot of the bed to be raised. Raising the foot of the bed can assist with positioning, elevate the legs, or help prevent sliding down in the bed. 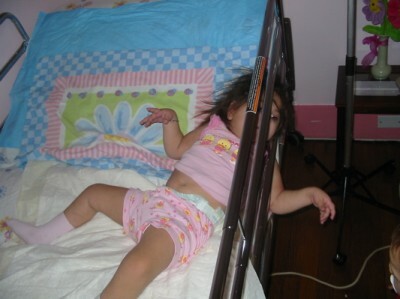 In rare cases, some children use a Trendelenburg position, in which the entire bed is tilted, to facilitate respiratory secretion removal and address other medical conditions. Only a few medical beds designed for homecare offer this type of positioning. Children who require frequent medical procedures need a bed that can be raised high enough for nurses or parents to perform medical procedures. These beds are also useful for transferring a child from bed to a wheelchair or other device. Beds that are articulated or can be raised or lowered in height may be fully electric or may require a manual crank to change position. Children who have frequent medical emergencies, such as emergency suctioning, trach replacement, or bagging/resuscitation, should always have an electric bed. The bed must be able to be flattened for emergency procedures very quickly. In addition, children who need frequent repositioning to prevent contractures or pressure sores should have electric beds to facilitate positioning changes. In general, manual crank beds are difficult to use, but may be suitable for children whose positioning needs do not change often. Children who are unable to move well or free a body part are at high risk for becoming entrapped in their beds. Many children have been injured or even died when they became entrapped in their beds. Certain beds have been designed specifically to prevent entrapment. Typically, these beds have full side rails with minimal gaps. 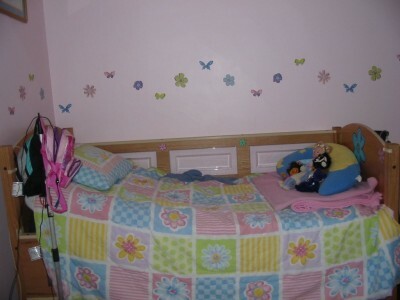 Beds with a partial side or large gaps are not appropriate for children who cannot free a trapped body part. Children with muscle or balance problems may easily fall out of bed. Beds with high sides and full rails on both sides can help minimize or prevent falls. Children who are able to climb out of their beds or fall over the sides, whether due to limited physical abilities or developmental challenges, may need a bed that prevents escape. Some beds have high sides, top covers, or full mesh enclosed canopies to prevent escape. Full mesh canopies are not appropriate for children who need medical tubing of any type, as tubing cannot be passed through the sides of the bed without leaving it partially unzipped or damaging the mesh. Children with seizures and those who may injure themselves due to medical or behavioral conditions may require partially or fully padded sides to prevent injury. Children who are hooked up to feeding pumps, IV pumps, ventilators, oxygen, humidity, or BiPAP at night need a safe method for the tubing of these items to pass into the bed. While beds with lower side rails will not present a problem, fully enclosed or high rail beds will. Beds can be made with integrated IV poles or ports in the sides of the beds for tubing. Children who do not move much on their own may require a pressure-reducing mattress to prevent bed sores and other potential problems. Gorgeous wood beds available in a wide variety of styles, including normal height, medium, and high with double-height rails, as well as tall with an extension for maximum height. All beds have see-through full rails. A fixed or articulating mattress (raised head and foot) is available, as are pressure-reducing memory foam mattresses. The design of the bed reduces entrapment. A model with a high-low feature that allows the entire bed to be raised or lowered is available, with fully articulating electric model or manual crank. The beds are also available with IV poles, padded rails, extra windows, enclosed tops, or mesh windows. Gorgeous, beautifully crafted beds that are built to order using an entrapment-reducing design. Normal height and high with double-height sides available. Full side, split side, and high side rails, as well as full mesh canopy, available with a choice of several designs. Fully articulating (electric), manual crank, or fixed height available. Choose from many different styles, stains, and finishing touches to individualize the bed. IV poles, padding, and a canopy top are also available. Unique, colorful design with a combination of crib-style rails and windows available in various heights. Multiple articulating frames available, pressure-reducing mattress, and many accessories, including canopy, storage items, and padding, are available. These beds are crib-style hospital beds that are available in two sizes (crib and twin) and two styles (crib sides or vinyl enclosed). Full crib-style rails with padding, IV pole attachment, articulating frames with either electric or manual crank, and high-low models are available. Three different styles are available: a fully-enclosed canopy bed, afully padded safety bed, and a crib-style bed. The canopy-style bed is fully enclosed and available in many colors/prints. The safety bed has full padded sides. Beds are available with a head elevation manual crank and height-adjustment. Enclosed portable bed or bed topper for children who need to be enclosed but have no other specific medical needs for a bed. Frame padding, access holes for tubing, and security straps are available. The bed is designed to prevent entrapment. It is also possible to use standard adult hospital beds for many children, though they may be unsuitable for some children. Most do not have full railings or sides and present an entrapment risk for children. There are many different styles and types of these available. As discussed in previous articles, I recommend assisting your physician by writing your own letter of medical necessity that the physician can then edit. First of all, check to see if your state or insurer has specific guidelines that must be met to get a specialty medical bed. Googling your state or insurer’s name and specialty bed may yield a list of requirements. For example, my state, Illinois, uses these guidelines. Make sure you satisfy all of the guidelines in your letter. If possible, attach both a cognitive/behavioral assessment of your child (if relevant) and a physical assessment of your child performed by professionals. If you do not have these assessments, have your child’s physical therapist or other medical professional write a summary for you using a standard scale, such as GMFCS for children with cerebral palsy. Your physician may also summarize your child’s previous assessments in the letter. Next, you need to prove that all the features you are requesting in a bed are medically necessary. Do not at this point mention a specific model. Simply list out the features you need and explain each one. Focus on the medical and not the psychological. Make sure you specify the exact height range of the bed that is needed, the type of safety rails and why, what padding is needed, why you need a fully electric bed, and so on. Karuna needs to sleep with the head of her bed raised 30 degrees to prevent reflux and aspiration, and to ensure adequate oxygenation and ventilation. She is fully oxygen and ventilator dependent at night. Because her seizures cause repetitive head turns and twitching throughout her body, Karuna needs a bed with full rails to protect her from falling off the bed during a seizure. Karuna needs a bed that is safe from entrapment because she is limited in her ability to volitionally remove a trapped body part. She is unable to move any part of her body other than her eyes and mouth, but she experiences involuntary movements from seizures and other medical conditions that can cause her to move in unexpected ways. Karuna receives as many as 20 separate medical procedures per day, and these must be performed at a safe height, specifically 32-42 inches high, especially those that must be performed sterilely. These procedures include catheterization or foley placement, central line dressing change, blood draws, nebulizer treatments, respiratory vest treatments, deep suctioning, CoughAssist treatments, medication administration by feeding tube, medication administration by IV, bladder irrigation/instillation, feeding tube changes, and diapering for incontinence. Karuna frequently requires emergency medical procedures, including emergency suctioning, bagging, or resuscitation. She needs to be placed in a flat position immediately to receive these critical emergency procedures. A manual crank bed will not allow her to be positioned correctly without a significant delay, which could prevent her from receiving critical, life-saving procedures in a timely fashion, potentially leading to further medical complications or even death. In addition, her position must be changed every two hours to prevent pressure sores since she is unable to move on her own, and this cannot be facilitated easily without an electric bed. Your reasons are likely to be different, but make sure you provide a medical explanation for every single feature of the bed that your child requires. Then write a short paragraph about why your child’s current bed does not work. For example, you may want to say she falls out of bed, she has terrible problems with aspiration on a flat mattress, she has had her head or foot caught in the bed, she bangs her head against the bed due to seizures or behavioral issues, she has developed pressure sores, and similar issues. It is important to emphasize that you have trialed numerous other methods of addressing these issues. Particularly emphasize any injury your child has already sustained, and the potential consequences of ongoing injury, including head injury and death. Finally, write a short paragraph stating that whatever bed you want is the only bed available on the market that meets all of your child’s medical needs. Many providers have sample letters that specifically reference the features of their beds, so make sure to check the website of the bed you want for sample letters and verbiage. It is often helpful to cite the names of other cheaper beds and specify why they will not work. Most likely, your insurance or Medicaid will try to say your child’s needs can be met in a cheaper fashion, so pre-empting them by specifying what cheaper features won’t work goes a long way. For example, in my state, often the state will suggest to have the child sleep on a mattress on the floor to prevent falls and entrapment. Arguing that your child will be unable to receive critical medical procedures in this position will easily resolve this problem. They also offer beds with mesh canopies and partial side rails in many cases, but these beds are not suitable for children with medical tubing and entrapment risks. Another typical response is that a regular rental hospital bed can serve the child, but these beds lack full rails and frequently entrap children. Finally, they will most likely suggest manual crank over fully electric, but manual crank is not appropriate for children who have frequent emergency medical procedures or need ongoing positioning changes. For those of you who have children in Medicaid or a Medicaid waiver, there are additional protections that can help you get the bed you want and need. There is a federal guarantee, called the Early and Periodic Screening, Diagnostic and Treatment (EPSDT) program that requires states to cover any item or service that a physician has deemed medically necessary as part of a child’s treatment plan. Make sure your letter mentions that this bed is a required part of your physician’s treatment plan for your child’s specific diagnosis, and must be covered under EPSDT. Including the words “treatment plan” and “EPSDT,” as well as your child’s specific diagnosis in one sentence will alert the state that you know your rights under federal law and expect them to comply. It can also be very helpful to explain how the bed will keep your child out of the hospital by preventing medical problems like aspiration pneumonia, infected pressure sores, broken limbs from falls, and so forth. Depending on your insurance and your provider, this step may vary somewhat. Some families may submit all the necessary paperwork directly to their insurer. Others will need to submit it through an equipment provider. You may also need to submit a prescription from your doctor and other information. It is important to make sure your equipment provider is able to supply the bed you want. If that is not possible, contact the company that makes the bed for advice on how to proceed. They may recommend a different vendor. In addition, many of these companies provide help with insurance and funding. Make sure to contact them for specific advice about their process. Many have sample letters specific to their beds available on their websites. Finally, make sure your provider seeks pre-approval of the bed and bills it under the correct code. Most pediatric specialty beds are billed under codes E0328 or E0329. Our first request was denied because the bed was considered an “item of convenience.” This is very, very common. Don’t give up. Instead, pull out the big guns. Write another letter of appeal that can be from you or from your child’s doctor. Include a wide variety of supporting items, such as photographs of your child in her current bed. We also included medical records documenting reflux, aspiration, skin breakdown, and other issues. Ultimately, what we ended up doing was proving no other bed would work by renting a regular inexpensive hospital bed. When my daughter was discharged after a long hospitalization, we had her discharging physician order the rental bed as a condition of discharge. Since the insurance company obviously wants to get your child out of the hospital, they are much more likely to agree to this. Once we received the rental bed, we documented why this bed was unsuitable for her, taking pictures of her with her arm and head trapped in the rails. I submitted several pictures like the ones shown here and her bed was approved immediately. They actually expedited the approval! Pictures are often the best way to win an appeal. If multiple appeals fail, you may need to reconsider your options. Sometimes you may be able to win approval for a less expensive bed with fewer features. It is also possible to seek outside funding from foundations, local groups, and charities. Step 7: Enjoy your bed! The majority of families who have gone through this process have been able to get the bed of their choice. Expect it to take some time and some work. But hopefully your child will soon be enjoying his new bed!